Last week our friend and travelling buddy, Ted, provided a guest post for the Title This feature. As you will recall, he had just finished piloting the kayak across Door County's Moonlight Bay and landed near Toft's Point. As we continued our journey around the bay and eventually back toward the boat launch, the wind picked up and began driving some rather sizable white caps making for a not so smooth ride. 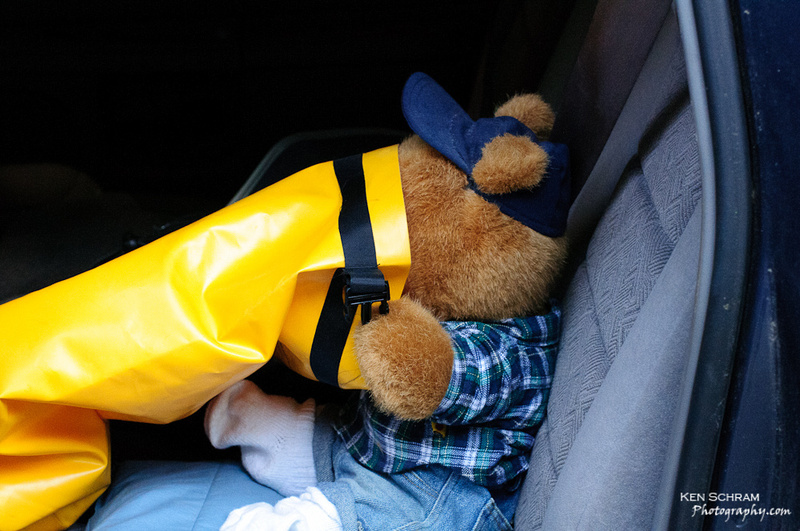 While rather embarrassed, Ted agreed to publish this photo illustrating his newly discovered use for a dry bag. Use the comments section below to offer up your title for this image and remember to have fun. Editor's Note: Ted wanted me to relay that he's experiencing a similar feeling to the image above after discovering he didn't receive a single comment on last week's guest post. Please don't make Ted sick. Leave a comment.